Sayyeshaa Saigal surprised everyone by getting married at the age of 21. Although her relationship with Arya is an open secret, Nobody expected the wedding to happen so early. 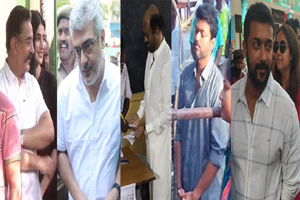 Generally, We see Actresses delaying their marriage as long as they can keeping the career in mind. Sayyeshaa, however, followed her heart instead of using her mind here. Post the wedding at Taj Falaknuma Palace on March 9th, Arya and Sayyeshaa Saigal had been to their honeymoon destination. Sayyeshaa kept sharing some lovely photographs shot during this trip on her social media handle. The newly married couple didn't disclose the destination they preferred for honeymoon but pictures shared so far have been making people jealous. 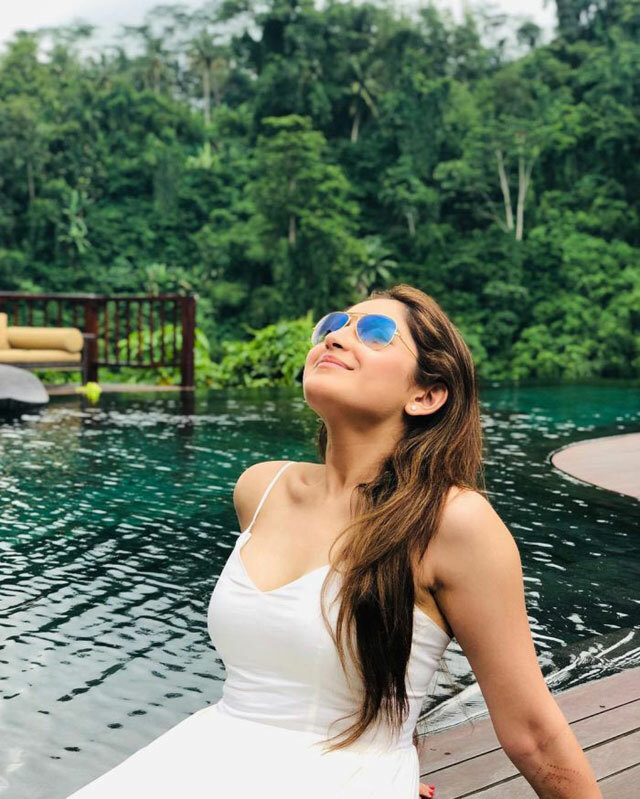 Particularly, The photograph in which Sayyeshaa was spotted looking at the sky while relaxing beside the pool is simply stunning. You just can't stop adoring her Beauty! Pic Of The Day: Bunny-Niharika Celebrate Holi!